For the 24 hours to 23:00 GMT, the USD rose 0.44% against the CAD and closed at 1.3081. In the Asian session, at GMT0300, the pair is trading at 1.3065, with the USD trading 0.12% lower against the CAD from yesterday’s close. 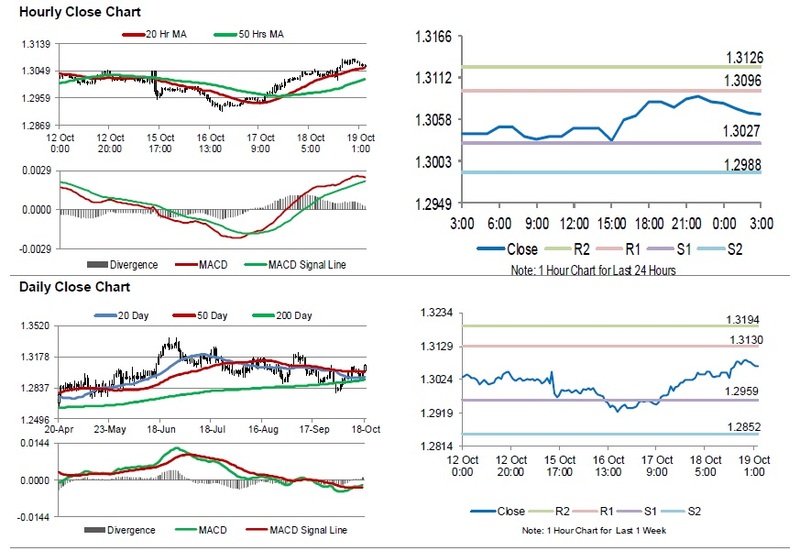 The pair is expected to find support at 1.3027, and a fall through could take it to the next support level of 1.2988. The pair is expected to find its first resistance at 1.3096, and a rise through could take it to the next resistance level of 1.3126. Trading trend in the Loonie today is expected to be determined by Canada’s retail sales for August and the consumer price index figures for September, both slated to release later in the day.